We ask featured guests to describe their connection to diabetes and the diagnosis experience, what’s working for them/not working for them, what they want people to know about diabetes, and what their message to the world is. With that in mind, we’re thrilled to introduce T’ara. Enjoy! Learn more about our featured guest from her recent appearance on “Live, with Scott” click here for the summary. I was diagnosed with type 2 diabetes in July 2017 at the age of 25. Prior to my diagnosis, I was experiencing symptoms such as a drastic weight loss, extreme thirst — about two gallons of water a day, frequent urination, constant hunger, and even my hair started to fall out. At first, I thought the weight loss was from the diet and workout plan I was on and thought my thirstiness was the result of that. But, it was my mom who noticed how much water I was drinking and thought I probably had diabetes. I had previously been diagnosed with prediabetes at 18 and had made some drastic changes in my life to improve my life and prevent a type 2 diabetes diagnosis. The possibility of being diagnosed after making those changes felt impossible to me and I denied it until I had to go see a doctor. When my doctor diagnosed me, my blood sugar was in the 550s and my A1c was 15 percent. My doctor told me had I waited any longer to see him, I would’ve ended up in the hospital with some sort of diabetes-related complication. At the end of the day, I wasn’t surprised I was diagnosed. It runs in my family; my grandmother has type 2 diabetes as well and in hindsight, I guess my risk of having diabetes was higher due to my previous experience with prediabetes. For treatment, I use long-acting insulin and take metformin. For the first 9 months or so, Lantus was the brand I used for insulin and now I take Basaglar. Both have worked okay for me so far; I’ve been able to bring my A1c down to about 8 percent. However, I’d like to improve my treatment plan by using fast-acting insulin for meals and using a continuous glucose monitor to track my blood sugar on a more consistent basis; I’m not a fan of pricking my finger several times a day. In terms of medical care, my treatment has been so-so. My health insurance coverage for the majority of my life with type 2 diabetes hasn’t afforded me the opportunity to see an endocrinologist without paying significantly out of pocket. I also went several months without health insurance in 2018, so I missed an appointment with one of my primary care doctors. Fortunately, I was able to see a primary care physician towards the end of 2018 to evaluate how my treatment plan is working. In other forms of support, I’d say I rely on close family or friends and the stories I see on social media as a form of peer support. Diabetes self-management is so clinical and I prefer to think of this chronic illness from a more personable standpoint. I’m more concerned about how diabetes affects my mental and emotional health because that influences how I take care of myself physically. It wasn’t until I started working at Beyond Type 1 that I felt comfortable talking about my personal experiences with diabetes outside of my usual small circle. It feels great to be able to talk about the whole experience of living with diabetes with others who understand. I’ve also used my blog and Instagram pages to share my story living with type 2 diabetes to show people it can affect anyone and that everyone’s experiences with it are unique. It’s important for people to know type 2 diabetes isn’t a one-size-fits-all disease. Some people don’t need to take medication to control it and some may need to take both oral medication and insulin. It also doesn’t just affect people who are older; I’m living proof of that. A person doesn’t have to be obese or eat a bad diet to get type 2 diabetes, either; I’m also living proof of that. 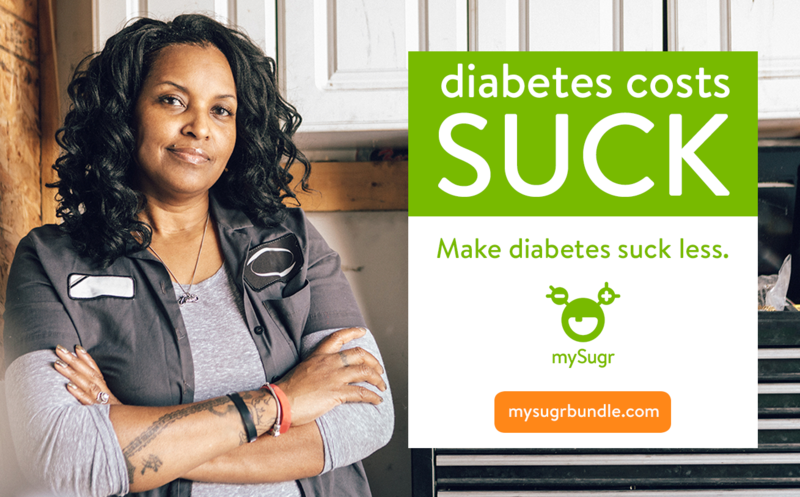 Never assume someone getting diabetes is their fault, especially type 2, because getting diabetes isn’t a choice. Nor is it a cause to make diabetes-related jokes about complications such as amputations. Also, I think people should be cognizant of assuming that because one has diabetes, they can’t have “sugar” — diabetes management is more complex than that. We don’t have to completely cut out carbs, in fact, we can still enjoy what we like as long as it fits into our treatment plan. Everyone is different. I’m fortunate to be able to amplify our unique experiences at Beyond Type 2, a new program of Beyond Type 1 for everyone impacted by type 2 diabetes. It’s a place to share stories, get connected and find resources on topics from daily management to mental health. We’re on a mission to radically change what it means to live with diabetes and show people are very capable of living powerful lives with type 2 diabetes. In fact, at Beyond Type 2, we launched a campaign on Instagram called #BeyondPowerful, where people living with type 2 Diabetes are sharing their stories on how they’re living their best lives with it. We truly believe the power of our combined voices can change the way society sees diabetes and hopefully lead to major breakthroughs on how we treat it.